Easter is almost here and for many of us, that means making plans to gather with family or friends for the holiday. 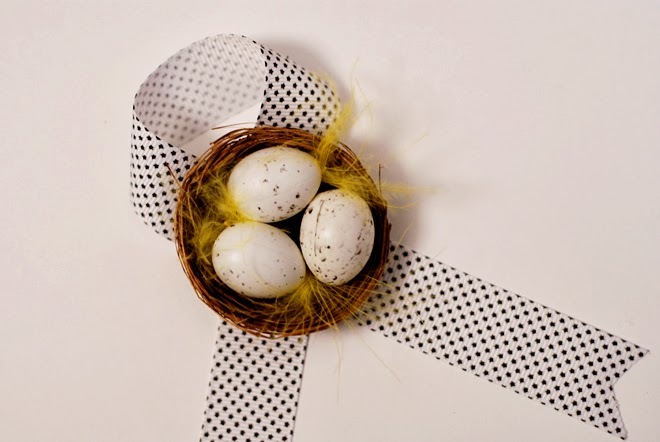 I'll be sharing thoughts later this week on how to plan a laid-back Easter celebration including decor and menu ideas. But here's one simple and very quick DIY you can do ahead of time to bring a bit of springtime to your table. 4. Put a dab of hot glue on one mark. 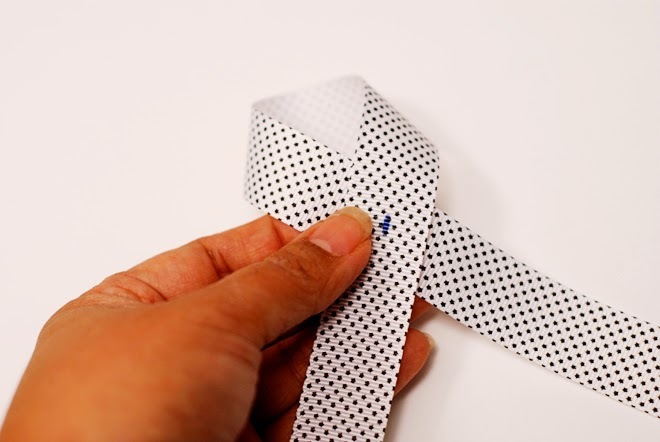 Keeping right sides facing up, cross over the ribbon so that the two marks meet. 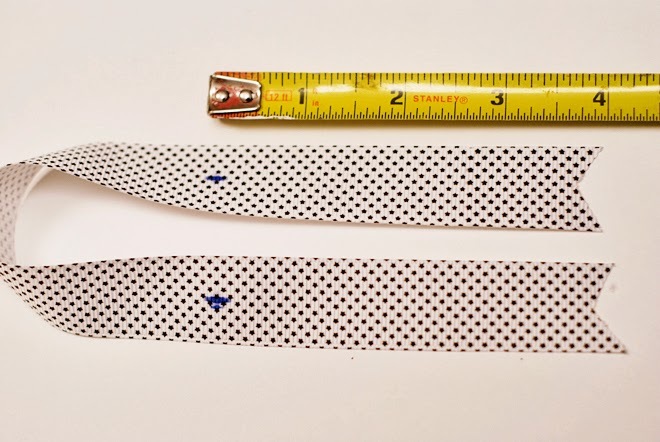 Press so that the two sides are glued together. 5. Put another dab of hot glue on the top mark. 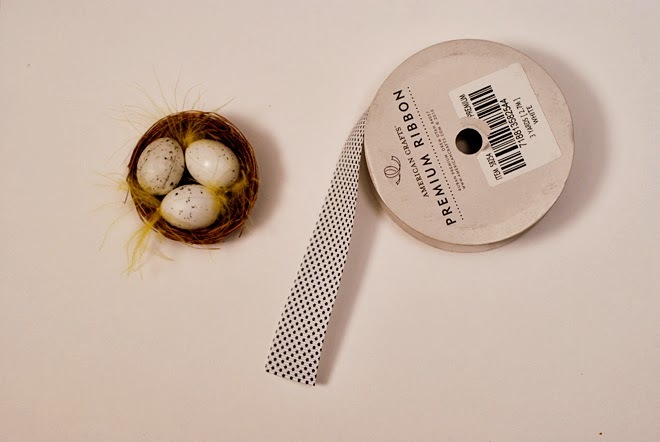 Attach the nest. 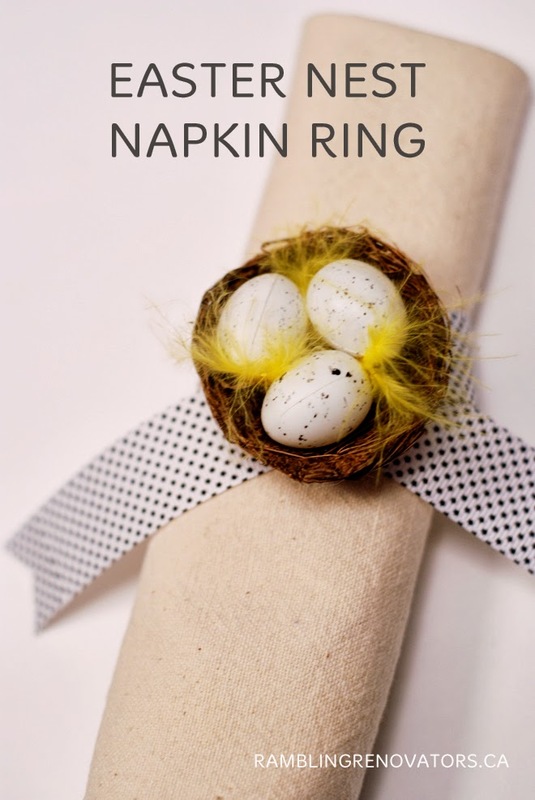 Slip the ring over the folded napkin and place it atop your Easter table. So easy! 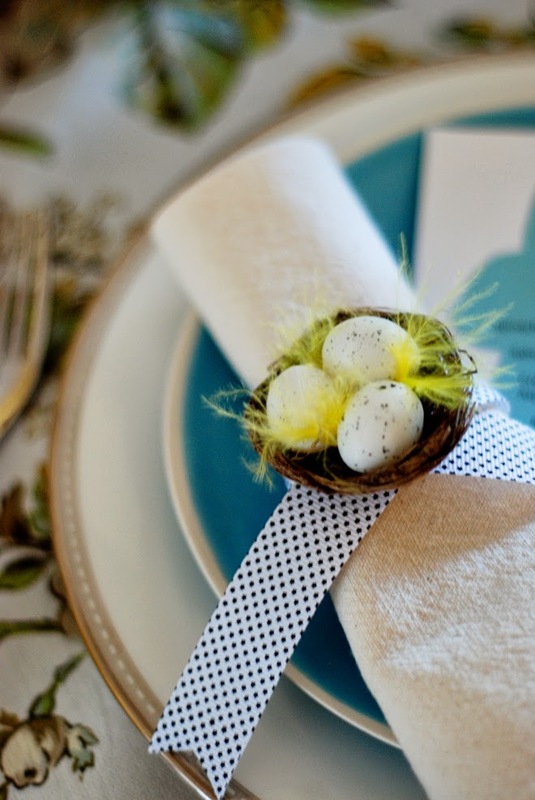 Here's a sneak peek of my Easter tablescape I'll be sharing real soon. Don't you just love the colours this time of year?